The Uplands trail is located in the Black Canyon of the Gunnison National Park near Montrose, Colorado. 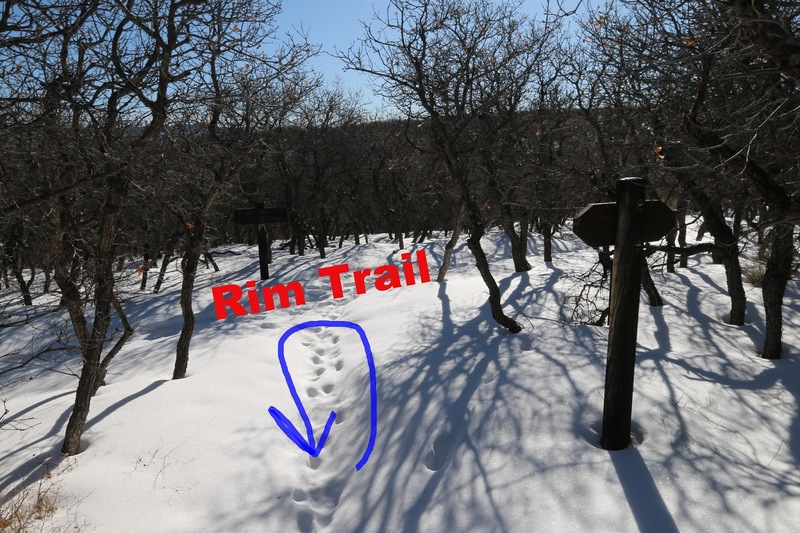 The trail is a popular hike during the summer months that is often combined with the Rim Rock trail to create a fun loop. 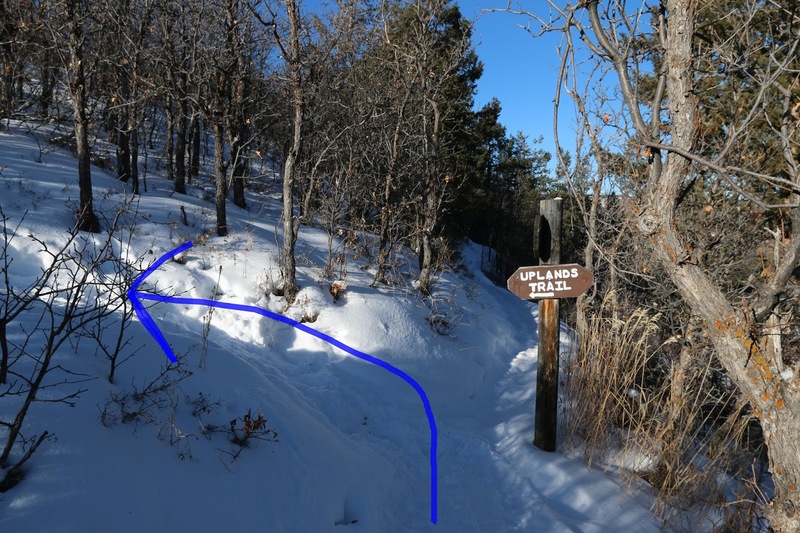 The trails close proximity to the South Rim Visitor Center makes it also popular during the winter months for snowshoers. During the winter the Parks Service plows the South Rim Road as far as the Visitor Center and waves the entrance fee. The Uplands trail begins off of the west side of the Oak Flat Loop. The Oak Flat trailhead is at the end of the west porch of the Visitor Center. The Oak Flat Loop begins about a quartermile from the trailhead. To get to the Uplands trail go to the left at the fork. After another hundred yards or so the Uplands trail branches off on the left. The trail does a little climbing as it departs from the Oak Flat Loop. 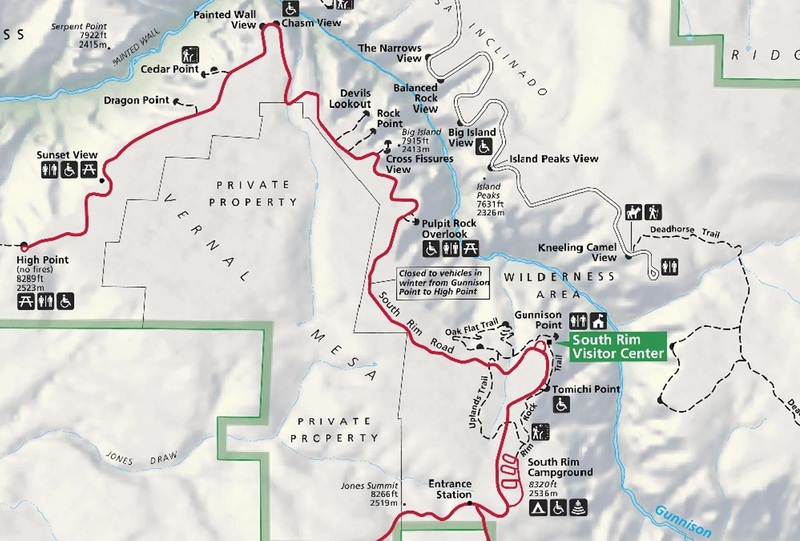 As the trial levels off it crosses the South Rim Road which after it passes the Visitor Center is groomed for cross country skiing during the winter months. On the other side of the South Rim Road the Uplands trail cuts a path through the brush where at times you can spot deer, elk and rabbits. The trail meanders through the brush and around a frozen meadow as it turns eastward toward the canyon. The Uplands trail crosses the maintained part of the South Rim Road to get to the Rim Rock trail which between storms can be bare as it is in this photo. The last stretch of the trail passes through a thick forest of gamble oaks. The Uplands trail comes to an end as it reaches the Rim Rock trail. From here it is less than 500 feet to the right to the campgrounds where one of the loops remains open during the winter. To the left it is just under a mile to the Visitor Center. If you choose to do the loop by taking the Rim Rock trail back to the Visitor Center the total round trip distance comes out to around 2.2 miles making it slightly shorter than doing the Uplands trail as an out and back. 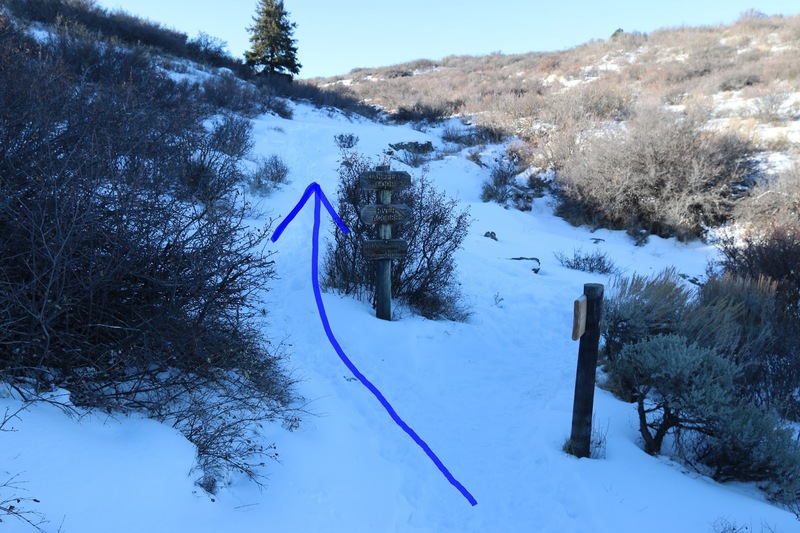 The Rim Rock trail is a little more difficult and isn't suitable for skiing if that happens to be your mode of travel. We've done the loop before but for this post we simply turned around and went back the way that we came. If you would like to see it for yourself then all you have to do is 'Take a hike'.